William Huskisson was a renowned British statesman and MP of several constituencies, including Liverpool from 1823 until his death in 1830. Enormously well-respected in Liverpool and beyond, he was one of the prime movers in the creation of the British Empire and a strong advocate of free trade, but had fallen out with the then-prime minister Arthur Wellesley, Duke of Wellington over issues of parliamentary reform. The opening of the Liverpool and Manchester Railway on 15 September 1830 promised to be a grand affair. Huskisson had been one of the main backers of the scheme and had actively contributed to the legislation that saw building commence, and so was present with his wife. A host of other distinguished guests filled a number of trains making the inaugural journey to Manchester. When the engines stopped at Parkside railway station to take on water, around 50 or so dignitaries disembarked from the train to look around, against the advice of railway staff. Huskisson saw this as his chance to heal the breach with his Prime Minister and approached the Duke’s carriage. As the Duke held out a hand to welcome him, warning shouts rang out: Stephenson’s Rocket was fast approaching on the adjacent track. In his confusion, Huskisson attempted to grab hold of the carriage door, which swung back and knocked him into the path of The Rocket, which mangled his leg as it passed over him. George Stephenson, the engineer who had built the line, personally drove the injured man to a vicarage in Eccles where Huskisson was treated by doctors. But all was in vain. Told that his fate was sealed, Huskisson received the last sacrament and made a last-minute revision to his will, which it is said he had prepared in full only the day before. He is buried in St James Cemetery, now an urban park behind Liverpool Anglican cathedral but at the time, Liverpool’s city cemetery. 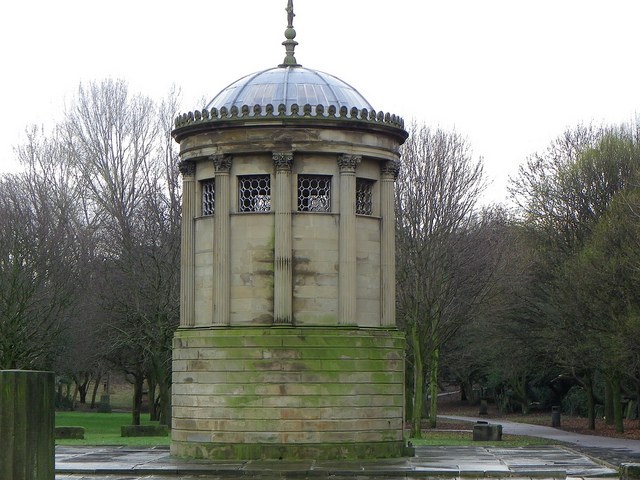 His devoted wife, devastated by the tragedy, commissioned a number of memorials to William Huskisson, including an extravagant monument to mark his grave which became the focal point of the cemetery. A marble statue originally located within his mausoleum is now in the Walker Art Gallery, and a bronze casting of a second marble statue stands in Duke Street, Liverpool. Ironically, it was the manner of Huskisson’s death which helped in spreading news of the new railway line across the world. This was the first public inter-city railway line in the world to use steam locomotives, and despite his tragic death, it raised the profile of the potential of rail travel to become available to all. Born in Liverpool on 15 May 1863 at 77 Copperas Hill, Frank Hornby was the son of a provision merchant. Growing up, he didn’t like school much and often played truant, finally leaving altogether aged 16 to work at his father’s company. When this firm closed on his father’s death, Frank was recruited as a bookkeeper at a meat importing business in James Street, Liverpool. David Elliott, his boss, was to become instrumental in Frank’s later success. Hornby married Clara Walker Godefroy in 1887 and they went on to have two sons and a daughter: Roland, Douglas and Patricia. Although he had no formal training, Frank enjoyed pottering about in his home workshop making toys for his sons. He soon came up with idea of manufacturing separate interchangeable parts that could be bolted together to make different models. By including holes punched at regular intervals on each separate component, he could see the potential for the toy, which would allow children to incorporate axles and shafts and so create a wide variety of models with just a few pieces. Short of money, he borrowed £5 from his employer, David Elliott, to patent his invention in 1901. The next difficulty was in sourcing a manufacturer, but luckily, Elliott came to the rescue again, and they entered into partnership. They used the building next to Elliott’s business for Frank to work on developing his invention and found companies to manufacture the parts. The product was called “Mechanics Made Easy” and slowly gained ground on the market. By 1907, demand had outstripped what his manufacturers could supply, and Frank felt able to quit his job and open his own factory. To help secure funding, he created a company, coming up with the Meccano name, which is thought to be derived from the phrase ‘make and know’. Sets became increasingly intricate and colourful and with the help of his son, Frank opened further factories and franchises overseas, ensuring that the Meccano name was known worldwide. Production continued during the First World War and the company grew. In 1920, Frank introduced the eponymous Hornby model trains, bringing them to life by incorporating clockwork mechanisms imported from the German company which held a license to manufacture Meccano there. In the 1930s, he introduced Dinky toys to his range of products. By this time, he had become a millionaire and lived in a grand mansion in Maghull, chauffeured to the factory daily by limousine. He took a back seat in the company affairs from 1931 when he was elected as Conservative MP for Everton, only resigning just before the General Election in 1935. 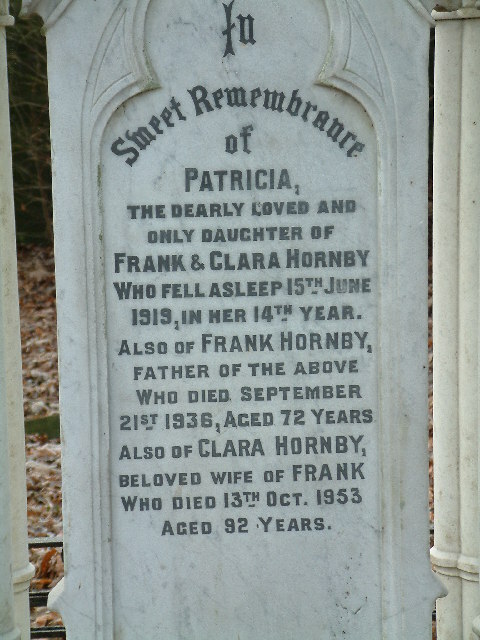 After a busy, active life, Frank died at the age of 73 on 21 September 1936. 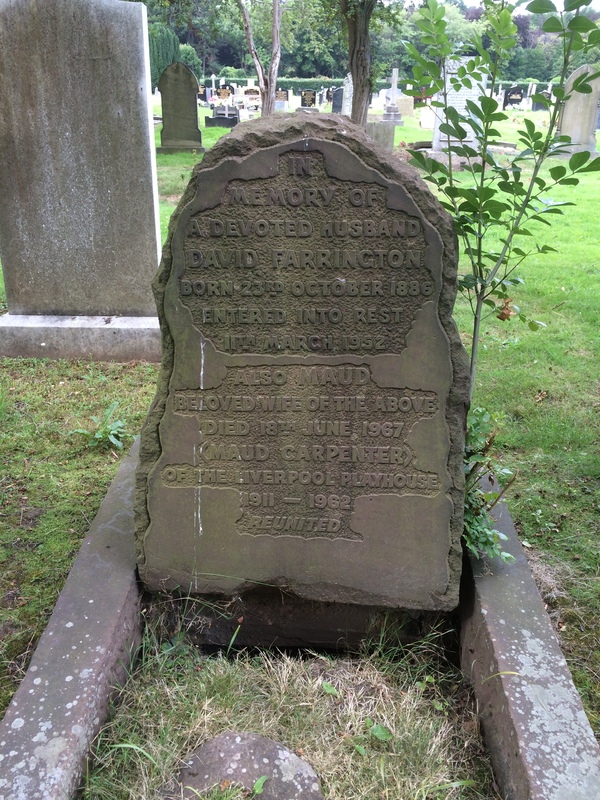 He is buried in the grounds of St Andrew’s Church, Maghull. His son took over chairmanship of the company and the Meccano, Dinky and Hornby names live on all over the world. “No one person can make a theatre. The vital thing is teamwork – from the callboys and cleaners upwards.” – but if anyone helped create the Liverpool Playhouse, it was Maud Carpenter. She valued the image of the theatre and its importance in the city, insisting that every actor arrive in style – or at the very least, a taxi – to preserve some sense of decorum and mystique. She even once scolded a young Sir Anthony Hopkins for turning up in jeans and an open neck shirt, rather than the sports jacket and tie she would have preferred. On performance nights, she would stand in the foyer and greet patrons – many by name; and at the end she would politely ask them what play they would be coming to see next. Her whole existence was dedicated to the preservation and smooth-running of the theatre and the comfort and entertainment of its audiences. During her lifetime, she was awarded an OBE and an honorary degree from Liverpool University. She died on 18th June 1967. Tributes were affectionate and many, and her gravestone records her dedication to the theatre she loved. Born in Liverpool in 1929, Arthur left school at 14 and took up an apprenticeship at Cammell Laird’s shipyard, where he contributed to the construction of the Ark Royal. On being finished up, he worked briefly on a tug-boat, then joined the Irish Guards. Having served in Europe and the Middle East, his army career began to draw to a close after an impulse decision to desert and join the Palestine Liberation Organisation – not then associated with terrorism – as a mercenary. Promoted to colonel in its ranks, he was soon after caught and returned to the Army, who tried and imprisoned him in a detention centre in Egypt. He amused himself during his time in prison by modelling sand and sculpting rock. But he never forgot his time at Cammell Laird’s and later at Dunlop in Speke, where he began to learn about the metals, fabricating and building which formed the cornerstone of his work in later years. On his return to the UK, he sought out a job as a cleaner at Saint Martin’s School of Art in London. Seeing the students’ work, he had a strong conviction he could do better and began working with discarded scraps of metal. 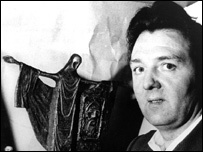 By 1955, he’d returned to Liverpool and established himself as a sculptor, working at a variety of jobs, from stage hand at the Liverpool Playhouse to park policeman in Sefton Park, to fund his life and work. He had converted to Catholicism while in the Army, and was also a devout communist, but in later years, he turned away from both his faith and his political allegiance. Despite this, he retained strong views about both and is perhaps best known for a number of religious works, including The Stations of the Cross for St Mary’s Church in Leyland, The Risen Christ in Liverpool’s Metropolitan Cathedral and The Resurrection of Christ at Princes Park Methodist Church in Toxteth. Politics remained at the heart of his work throughout his life and in later years. Becoming something of a personality, he often appeared on national television, not only promoting his work but also his strong views on the plight of the working classes in his home city. He was an ardent campaigner for the redevelopment of the South Docks, the abolition of high-rise housing and ongoing support for the long-term unemployed. In 1974, he created the much-loved tribute to the Beatles in Mathew Street, a sculpture picturing the Madonna and the band with the inscription ‘Four Lads Who Shook The World’ beneath. In the 80s, his work grew less fashionable, but he himself continued to be energetic in his two favourite causes, establishing a workshop for the unemployed in Kirkby and helping to found the Liverpool Academy of Arts. He died suddenly in 1994, having given away much of the money he had earned throughout his lifetime. His workshop remains preserved as he left it, in memory of the great man himself, and short videos from 2008 can be seen here.